Sitting beneath the shade of a Jerusalem Sukkah, Pastor Pete Rambo spoke of the prophetic mission of Christians all around the world who are “awakening” from their traditional religious perspectives and embracing the roots of the Christian faith in the Hebrew Bible. Rambo’s group of 55 internationals, which calls itself B’nei Efraim (children of Efraim, or Efraimites), visited Israel during Sukkot, a Jewish festival in which Jews and non-Jews alike would, in Temple Times, bring offerings to the Temple in Jerusalem. Back in their respective countries, each share a love for Israel, are Shabbat and festival observant and “eat clean” similar to the strict Kashrut standards by which Orthodox Jews hold. But they did not grow up observing these traditions – many began as traditional Christians only to stumble on a Bible passage that sparked their interest in returning to the roots of the Christian tradition – the Hebrew Bible. Now, “very few of us would describe ourselves as Christians, but rather I identify as a lover of the God of Abraham, Isaac and Jacob who displays this love through following God and his commandments and desiring restoration,” posed Rambo. “I connected this idea to the Jewish calendar and days of creation where God told the Israelites to work for six days and rest on the seventh,” she told Breaking Israel News. After reading this, other scriptures began to make sense as Waidelich came to understand that Shabbat must be remembered and kept holy according to Exodus 20:8. Likewise, she said, “I realized that the feasts are still God’s feasts and should be celebrated by all of humanity. I realized that Yehuda are Jews, and Christians are a part of the people of Israel who will come together as brothers,” declared Waidelich, who began to attend “Hebrew roots” conferences, eventually meeting Rambo. Similarly, Ingrid Marais of South Africa began to question why Christians changed Shabbat from Saturday to Sunday and why the festivals as described in the Bible are no longer adhered to. “God said this is my house, my rules and the Torah is for all of Israel – we see a lot of what is happening as prophecy coming to fruition and are repenting for those who reject the ways of the Torah,” she said, adding that Efraimites reject replacement theology, the idea that God’s covenant with the Jewish people has been replaced with Christians. “God’s promise for restoration does not mean replacing anyone – as the house of Israel, we come alongside the Jewish people,” Marais maintained. “We were dispersed and forgot Torah and Shabbat,” said Rambo, “so we believe that we are Israel, a lost tribe that, during the final redemption, will return to the Promised Land to reunite under one leader as prophesied in Ezekiel. We all feel the Geula (redemption) coming,” he said. But not everyone agrees with this reciprocal blessing. 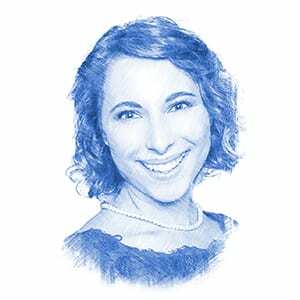 As Marais also took on Hebrew traditions, she found that “in South Africa, a very Christian country, it was hard for our families to accept our new practices. They believe we are rejecting our Christian faith,” she said. In the absence of support of some of their Christian family and friends back home, each maintained that they have found great support among Jews and Israelis. 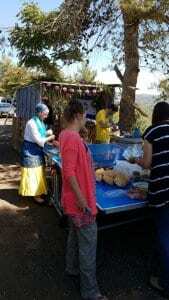 Throughout the visit, the group stayed in a Yemenite Jewish moshav (settlement) Givat Ye’arim for the third time since Rambo began bringing groups – aided by facilitator Tzemach, a Givat Ye’arim resident. On the moshav, they celebrate Shabbat together, learn Israeli folk dancing, sit together in the Sukkah and dance with the Torah for the holiday of Simchat Torah, celebrating the finishing and new beginning of the cycle of Torah readings. According to Rambo, we are not far off from that reality – he maintained that there are Efraimites everywhere, some of whom, because they are not Jewish and cannot become citizens of Israel, have even moved to Aqaba, Jordan to live inexpensively and be closer to the land for the festivals. “Times are changing and we are all a part of it,” he exclaimed.